Winchester, UK – 2nd October 2017 – Plasma Antennas, the inventors of plasma silicon technology, today unveiled the mmWave Plasma Silicon Antenna (PSiAN); that offers huge improvements in performance for 5G base stations compared to the current generation of technology. Based on the company’s patented Plasma Silicon technology, the antenna reduces the cost of a 5G base station by up to 50% by eliminating phase shifters, reducing and consolidating amplification and reducing computation. Plasma Antennas is a UK smart antenna research, design and manufacturing company who have supplied smart antennas for niche industry applications for many years. 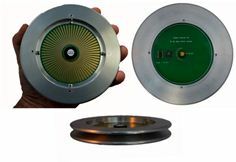 Developed over more than a decade Plasma Antennas’ patented Plasma Silicon beam-forming technology is a market-defining innovation for mmWave applications, transforming performance, costs and simplicity. The company now wishes to exploit this technology, developed and independently verified for a variety of specialist applications, for mass market 5G, WiGig, connected and autonomous vehicles and other mass market applications. Plasma Silicon will change the economics of the multitude of applications that will require ultra-reliable low latency communications (URLLC). From mobile devices, games consoles, virtual and augmented reality, to autonomous vehicles and public safety.